You will be right on trend with this adorable stackable fashion bangle bracelet! 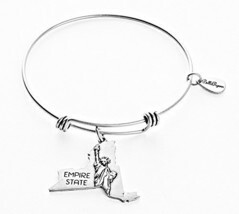 Gold Expandable Bangle Charm Bracelet with The Image of The State. 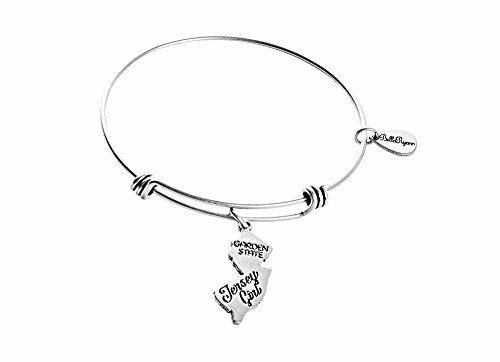 Each State Bracelet Features the State Nickname along With a State Symbol on the Front. The Back features an Abbreviation of the State and the Date that They Joined The Union. Gold is Plated on Brass. 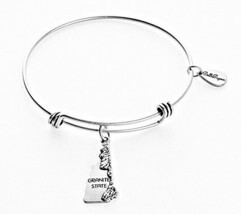 Gold Expandable Bangle Charm Bracelet with The Image of The State. 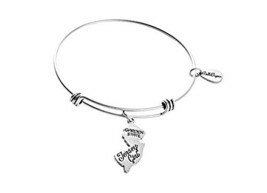 Each State Bracelet Features the State Nickname along With a State Symbol on the Front. The Back features an Abbreviation of the State and the Date that They Joined The Union.